Whether you’re just starting your own business or have been operating an SMB for years, odds are you’ve already encountered the age-old Sage 50 vs QuickBooks debate. It seems that finding a QuickBooks proponent or disgruntled user is about as difficult as locating a Starbucks in an urban city block (in other words, it’s absurdly easy). Though the SMB accounting software space has seen great strides in the diversification of vendors and deployment offerings, QuickBooks and Sage 50 (formerly Peachtree accounting) have persevered as key players. Why? 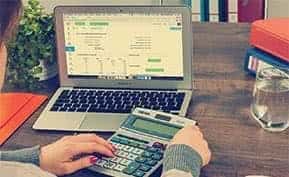 For starters, QuickBooks and Sage 50 are more or less adequate tools to address the somewhat limited financial management needs of home offices and small businesses. Both accounting platforms have also acquired substantial user bases and are backed by sizable software companies with the means to continually improve their products. Shifting landscape aside, Sage 50 and QuickBooks are solid options for SMB accounting because they can vastly improve how small businesses manage finances, greatly reducing time spent configuring Excel spreadsheets and manually entering data. But when it comes down to it, just how do Sage 50 and QuickBooks stack up? Let’s take a look at the pros and cons of the two leading accounting tools. First, let’s talk about how the two measure up in terms of core features. 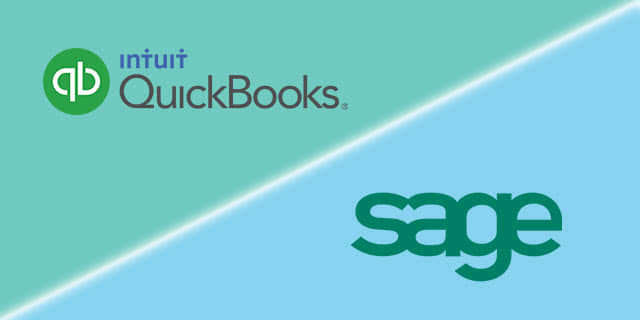 Despite what forums and user opinions might have you believe, QuickBooks and Sage 50 offer comparable capabilities. Both perform many typical accounting activities necessary for SMBs, from standard accounting tasks such as payment processing and accounts payable/receivable to customer management and budgeting. If you’re interested in more in-depth accounting features, you should evaluate the advanced packages offered by both Sage and QuickBooks. These include functions valuable to businesses in industries that require advanced job reporting and project management tools. Improved payment tracking and bank transaction monitoring are just two of the new functions added to the 2014 edition of QuickBooks Pro. The latest version also expands on email capabilities — including attachment functionality and customizable templates — to allow users more streamlined tracking of customer communications. An enhanced reporting dashboard is one of the newly added features to the latest versions of Sage 50. The 2015 editions of Sage 50 also offer greater flexibility for user options, allowing customers to select the number of users rather than stick to the previous versions with one, three or five users. Usability is a large part of the reason why QuickBooks remains a key player for small business accounting needs. Because QuickBooks was designed for the accounting amateur, installation and implementation require minimal hassle. Easy adoption processes, simple forms and a user-friendly interface make QuickBooks an attractive option for business owners who are new to accounting and looking to spend as little time as possible setting up the system. Bonus — In addition to a step-by-step setup guide, QuickBooks also provides video tutorials for new users. According to Top 10 Reviews’ analysis of the software, Sage 50 can be somewhat tricky to install. In order for the program to run properly, you’ll first need to verify that all applicable applications and drives including your .NET framework are updated. Sage also recommends that you install the software first onto your server and then onto workstations, which can be time-consuming if you don’t have a designated IT person. Recently redesigned to further improve the user experience, QuickBooks’ simple dashboard interface is a standout element. The revamped design incorporates visual portrayals of account details, open invoices, budget tracking and more. Up-to-date dashboard feeds enable users to easily monitor ongoing accounting processes, and a simplified payments feature ensures your clients can pay invoices in one simple click. Seasoned QuickBooks users, however, have complained that the drastic dashboard remodel can be confusing to maneuver if you’re used to the older editions. The mobile versions of QuickBooks include an equally appealing aesthetic, meaning users don’t have to switch between disparate application displays even when using different devices. A simplistic starting dashboard reminiscent of the Microsoft Office suite suggests that the program should be relatively easy to adopt. In reality, many users claim that Sage is a more complex system, with an interface that can be difficult to navigate if you are new to the software. One notable benefit of the Sage 50 interface is its ability to customize shortcuts featured in the navigational bar. Tabs found in the left-side navigation bar also enable you to toggle easily between sales data, purchases, inventory and more. Desktop: Intuit continues to offer three desktop editions of its renowned accounting program QuickBooks, including a version specifically built for Macs. Online: QuickBooks Online is available in three editions and can be accessed anywhere from any device, provided you have an internet connection. An online payroll module is offered for an additional price for companies without an existing employee payment management system. Desktop: All of the Sage 50 products are offered as software installed and maintained locally. Advanced integration with a multitude of third-party applications is ideal for companies looking to integrate their existing financial apps and other business software programs. QuickBooks includes a substantial list of add-ons that spans from expense management tools and billing/invoicing platforms to CRM systems and inventory management. QuickBooks also comprehensively integrates with other Intuit solutions such as TurboTax, Quicken and Lacerte Tax. This integration capability will prove particularly valuable for businesses already using or considering investing in an Intuit tax solution. Like QuickBooks, Sage 50 is compatible with a variety of handy add-ons. 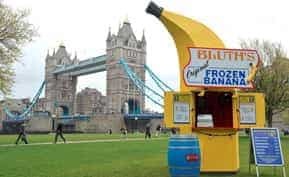 The product’s third-party integration capabilities include everything from construction tools and document management to POS systems and HR solutions. Additionally, all of Sage’s software offerings are fully integrable, making it easy for existing users to add other Sage products. For example, a business already using Sage HRMS can easily implement Sage 50 and Sage Payroll. Likewise, a company that chooses to purchase Sage 50 can later integrate other Sage solutions as the need arises. Customer support is one area where QuickBooks falls short — it’s a key sore spot in user reviews, which claim that utilizing the service can be difficult and confusing. QuickBooks does offer 24/7 phone support for an additional fee, and a QuickBooks community forum can help answer common user questions. A Sage 50 purchase comes with one year of Sage Business Care, a service plan that provides easy access to unlimited customer support. This includes advice by chat, phone and email. Intuit offers a range of accounting products, designed to meet the needs of home offices, small businesses and midsize organizations. Relatively small companies with industry-specific accounting requirements will also find various editions of QuickBooks acceptable, particularly QuickBooks Premier. Although Sage provides fewer options for accounting solutions, the 50 Accounting line is designed to adapt to the varied financial tasks of both small and midsize businesses, as well as accountants. QuickBooks offers both on-premise and web-based options for users. The 2014 edition of QuickBooks Pro costs $249.95 for a single-user license. You can also get a similar (but slightly less comprehensive) set of accounting features in the online editions of QuickBooks. Sage 50 Premium Accounting costs $299 for a single-user license, while the Premium edition runs $449 for a 1-user license. The Quantum edition, which includes more advanced accounting features and industry-specific capabilities, starts at $2,999 for a 5-user license. Is budget a top priority? 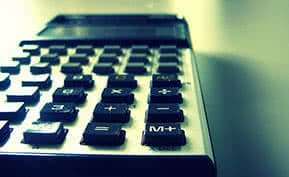 Are your accounting tasks limited? How experienced are you with accounting software? Is payroll a top priority? Do you require industry-specific accounting processes? Does your team seek advanced accounting capabilities? There is no standout ‘winner’ — both are solid accounting tools — and neither vendor offers a one-size-fits-all accounting system. What works best for you may not work well for the mom-and-pop grocery store around the corner. 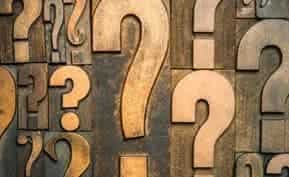 Not sure if QuickBooks or Sage 50 are the best options to meet your small business’ accounting needs? Check out our free Top 15 Accounting Software Report to review comprehensive profiles on the leading accounting software solutions. Plus see how the top accounting products compare in terms of pricing, deployment options and extra features.